Our hotel consists of 3 buildings. The first 2 were built buring 1992 and the third during 1994. It is a family business, something that makes our guest feel like home.The owners work hard during the year to maintain and keep the apartments in excellent condition. For your reservations, you should talk with the family's daughter, Mrs. Popi, after whom the hotel was named. 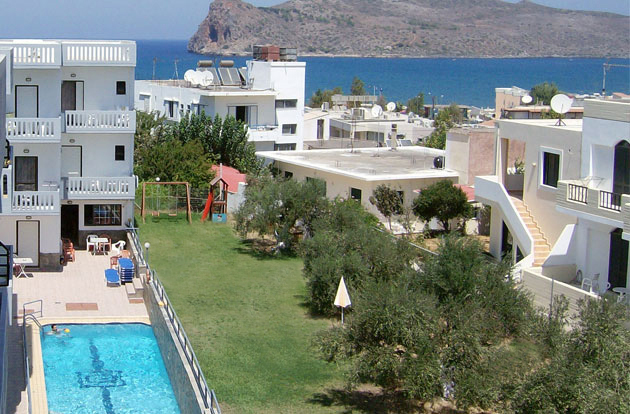 For the pool and A/C maintenance, Mr. Ioannis Michalas (the son) and Mr. Stafanos are responsible .